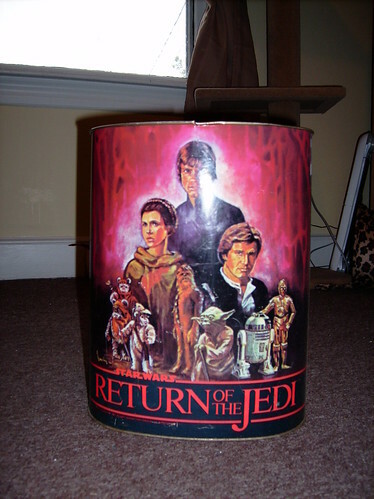 LOL no, but I would say about a third of it is Star Wars stuff. 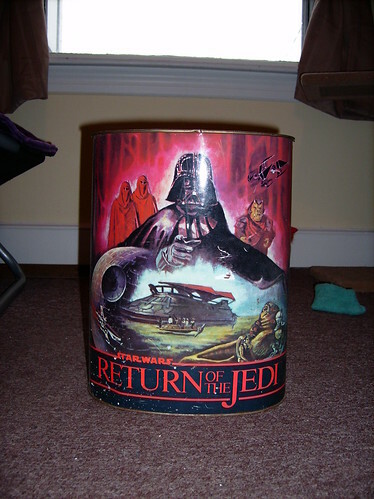 I have an old ROTJ book case in there, the Vader Standie, a couple older TRU foam core figure displays, a few totes with carded figures, factory cases with figures, the Episode I cups and toppers from Pizza Hut and KFC, books and a lot of misc. other stuff. I'll be moving the stuff from the unit to my house in the next couple weeks or so, I hope. I'll take pics as the stuff gets moved around. 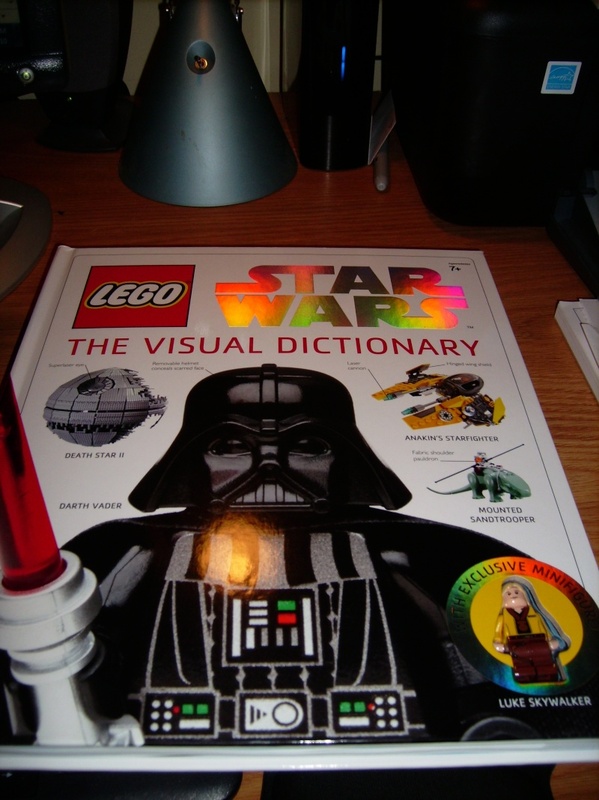 My son just got that Lego book for half price at his school because some kid stole the Lego Luke out of it! Wow DJ, that's an impressive collection! It would be cool to see all of it set up in one place. A few more items from my archive.... LOL Not that impressive really, but I have always wanted to say MY Archive! Have not taken any pics of loose figures yet, but here some pics from the last Legacy wave. Nice DJ! I can't wait to get that Shaak Ti. 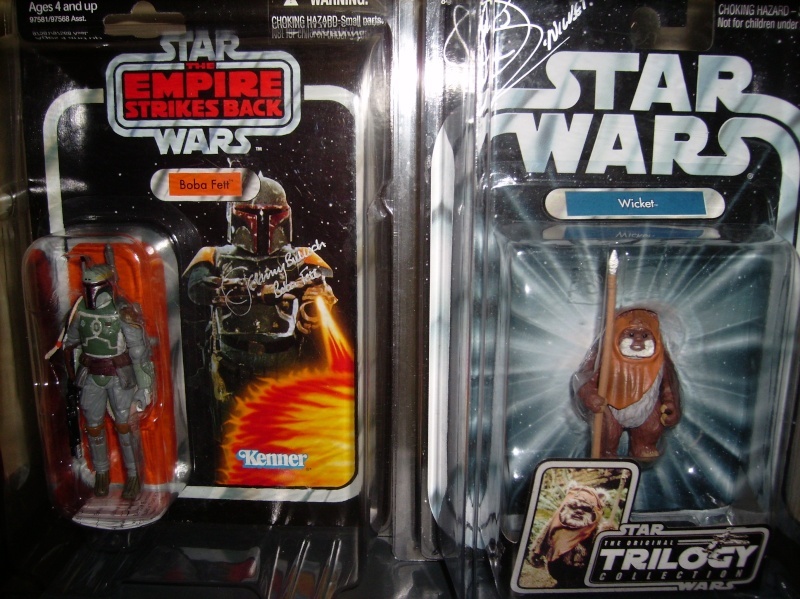 Nice additions Derek,be good to also add a re-release of Rocket Firing Boba Fett to that assortment of Fett figures and love the case of EU wave... all nice and fresh. Hey Rebado! nice to see you 'round here again! 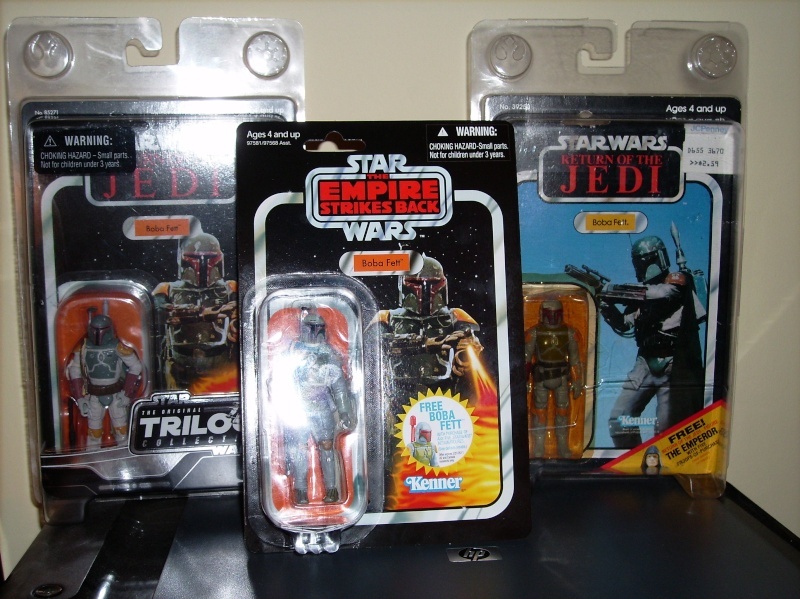 I have one order in place for a rocket Fett, with another form to be sent in very soon. I would like to have at least three of these guys! Here is some stuff I got from CV. 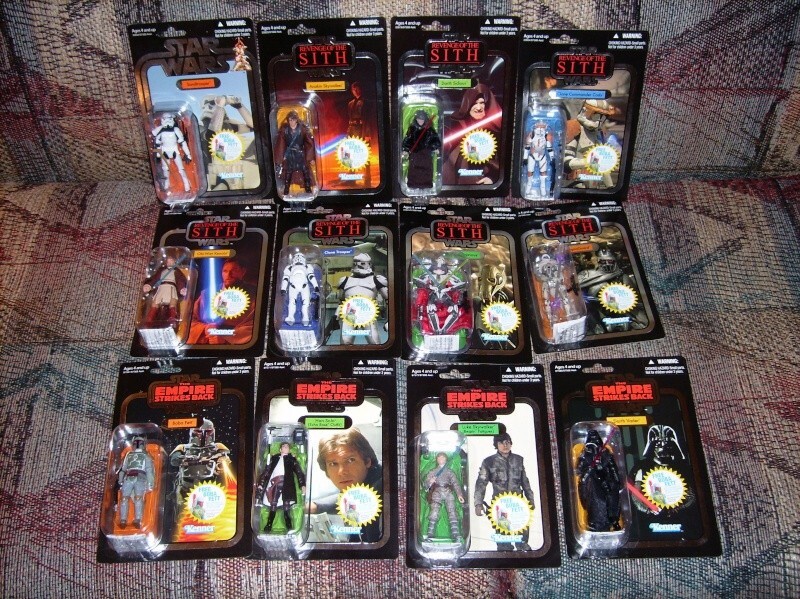 The build a driods from the Legacy line were both missing one part, found in figures I do not have duplicates of. Thanks to the Hasbo guys, they had a station set up to "trade" for parts you needed. 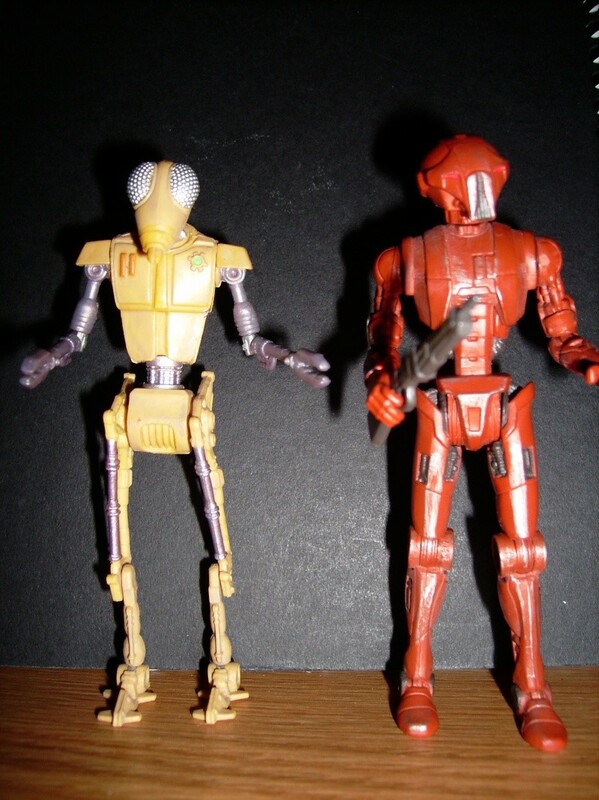 All you had to do was ask one of them, they would bring you over and if you needed a right arm for HK-47, give them an extra part you don't need. So, I finally got to complete both HK-47 and BG-J38. 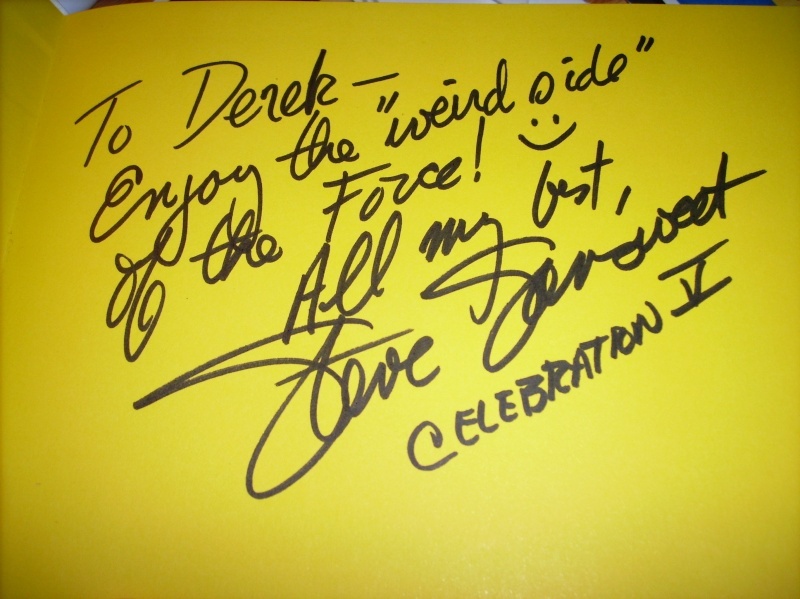 This is the inscription written by Steve Sansweet in my 1000 Star Wars collectibles book. "The Wierd Side of the Force" because we were standing next to the "Commitment Chapple". 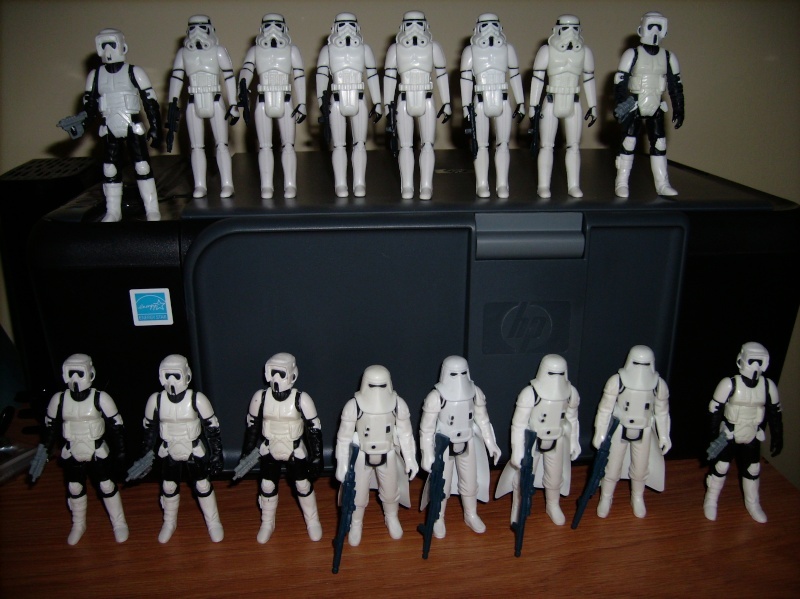 Just a pic of my newly whitened Imperial Army, as I have been giving figures the peroxide bath over the last couple weeks. The cereal boxes I was able to get from attending a couple of the Collectors Panels at CV. Wanted to make it to more, but there were too many other conflicting things going on at the same time. 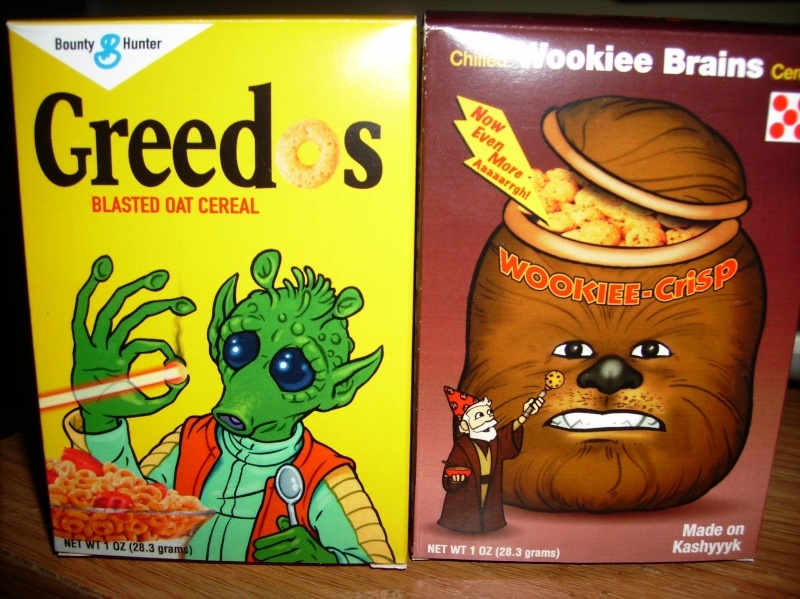 My favorite is the "Greedo's". 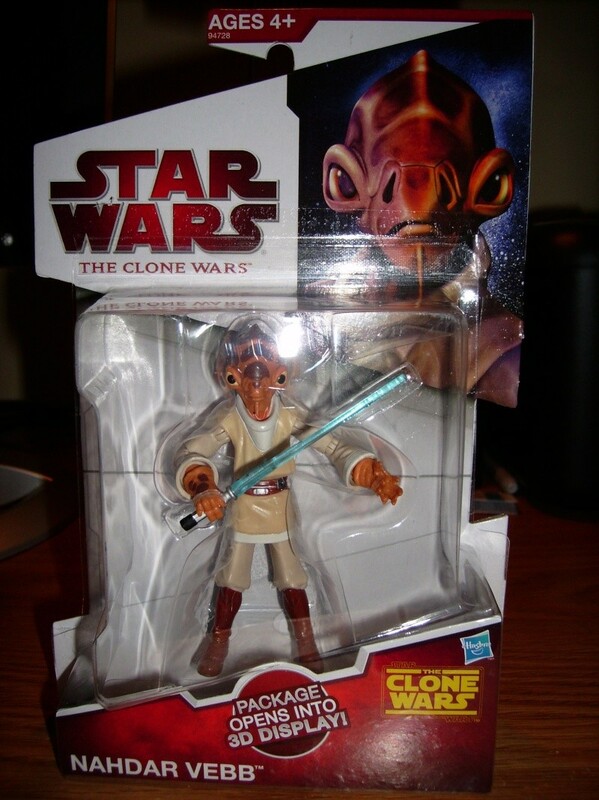 I REALLY wanted the Ackbar Cereal from Robot Chicken, but missed out on that one. 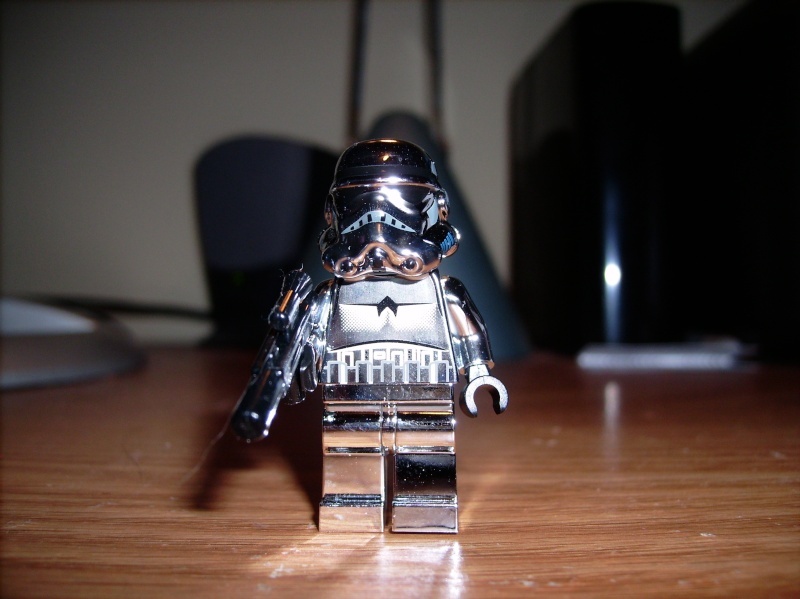 I have 2 troopers that I would like to try and whiten. What kind of peroxide do you use? I use two different types. The regular stuff you can buy right from any drug store or the Walmart health and beauty area. The second is from a beauty supply store. It is 40% peroxide. They have stuff even STRONGER but you can't buy it unless you have a license for hair. What I do is try to mix THREE equal parts in a sealable GLASS jar. 1/3 regular 1/3 40% and 1/3 WATER. Leave in the sun, as long as needed for desired whiteness. I litteraly had a few only take a day or two, and I had some that took four or five days. When you take them out, rinse them right away, shake out any excess you hear in the bodies, and plop them in a glass of plain water for at LEAST overnight. I don't know what the long term effects will be, if any. Last time I did it I put the figures into little snack size sandwich baggies. They started to yellow again within a few weeks. This time I left them out on my dresser for a while, and did not put them back into bags. 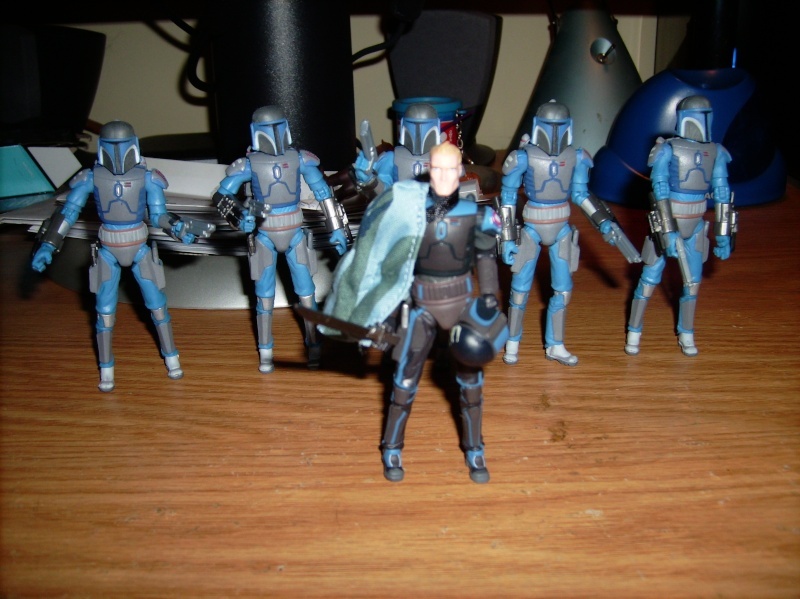 I put them in with the rest of my figures, so we will see what happend shortly. 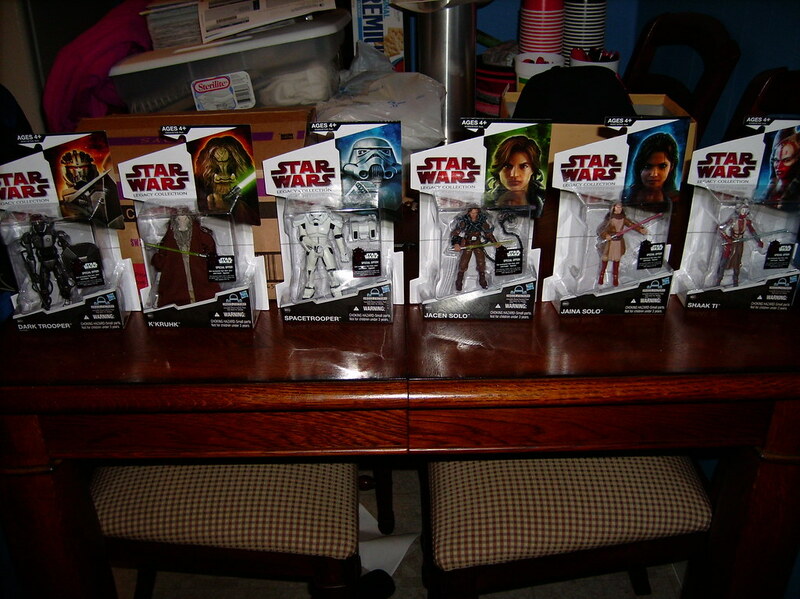 These are some of the new Chase figures. Got REALLY lucky and found Vader and Fett the same day! Have not done an update here for a while, so it's time to post some new additions. Is that your $35 Wicket? One and the same, DF! It actually came in looking better than I thought. 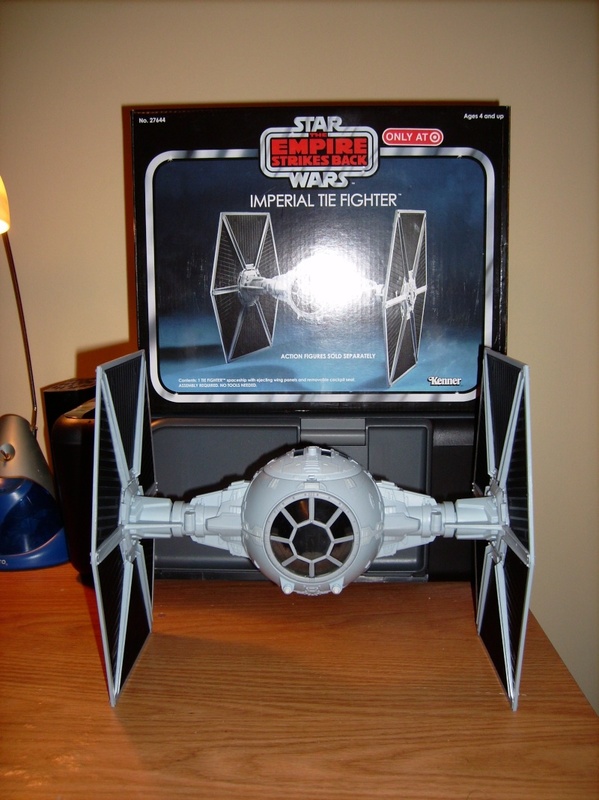 STILL waiting for my Death Star gun from that other seller! WTF, man! I'm really getting pissed! Seriously, WTF? I got Luke from them just yesturday. 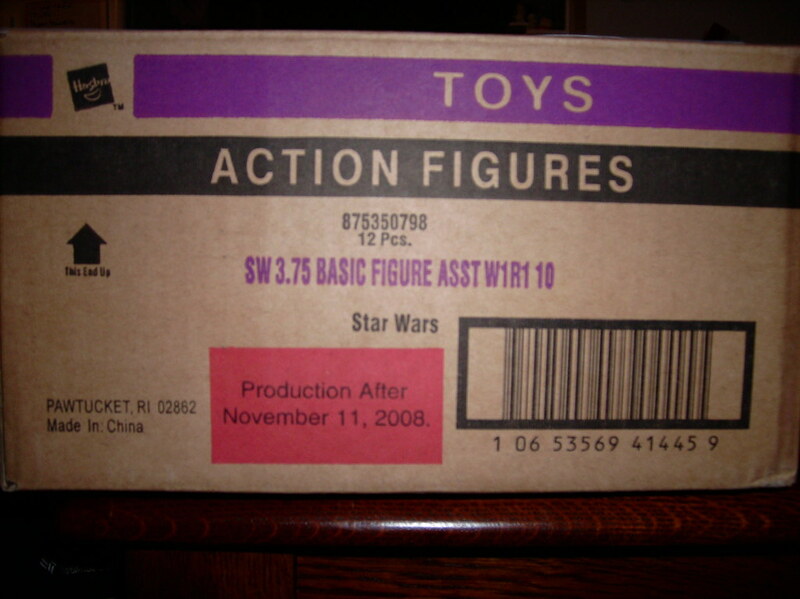 Have they even shipped the canon? Amazing photos Derek - not caught up with you in an age. We really need to meet up for a chat! Thanks James! Things have been a bit crazy here, but I agree. A chat is in order!!! Just thought I would show a pic of the weapons score I got at the Super Mega Fest con we went to last weekend. I got these from two different sellers, who apparently didn't pay a whole lot of attention to what they had! A combined price from both sellers for all this PLUS a few items I forgot to photo was $18.00 !!!! 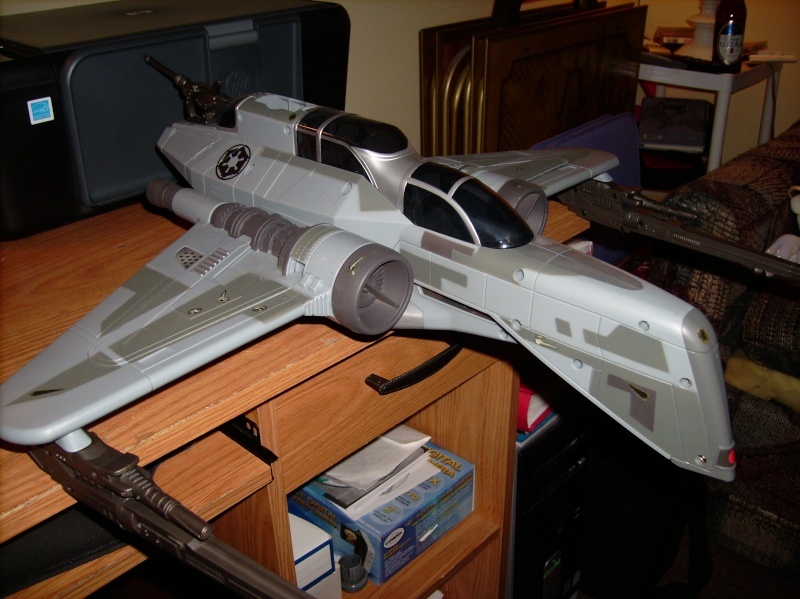 There were 7 X Wing cannons, 2 Hoth packs, 6 Gas masks and all the blasters shown. 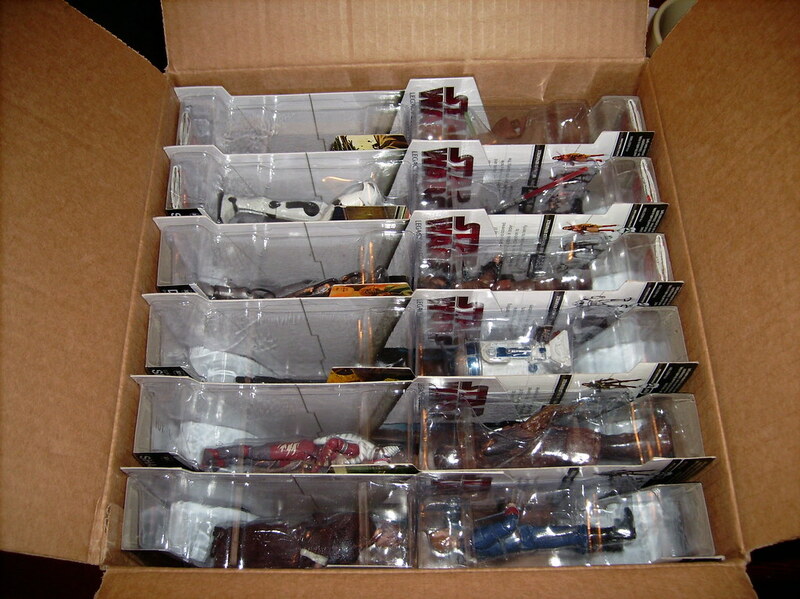 Also all the parts to complete a Logray figure, and it turns out I had one in my beater figure pile who had nothing! The Vader saber and a couple weapons would be more then what I paid for everything! 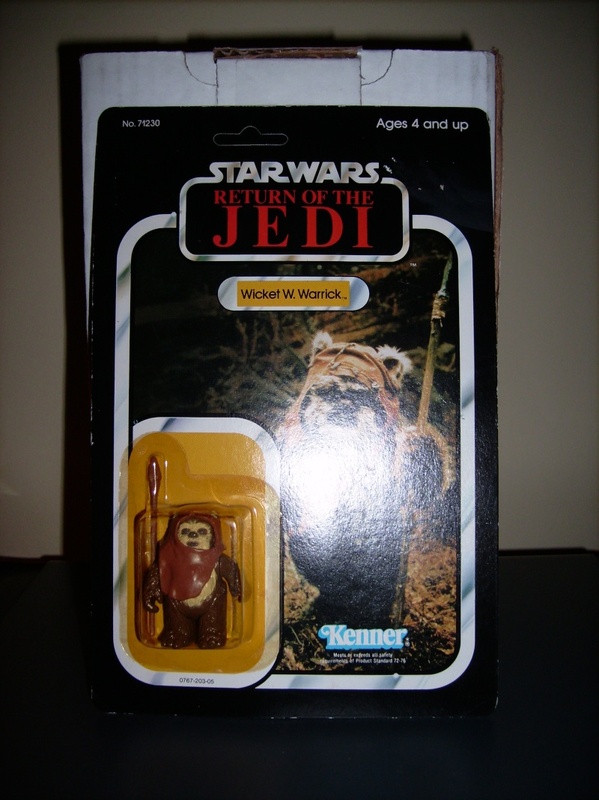 Now for what was not pictured, there is a Luke Bespin backpack, a Kenobie saber with no tip and some of the die cast mico troopers. Three snow troopers and two Rebel Hoth troopers. 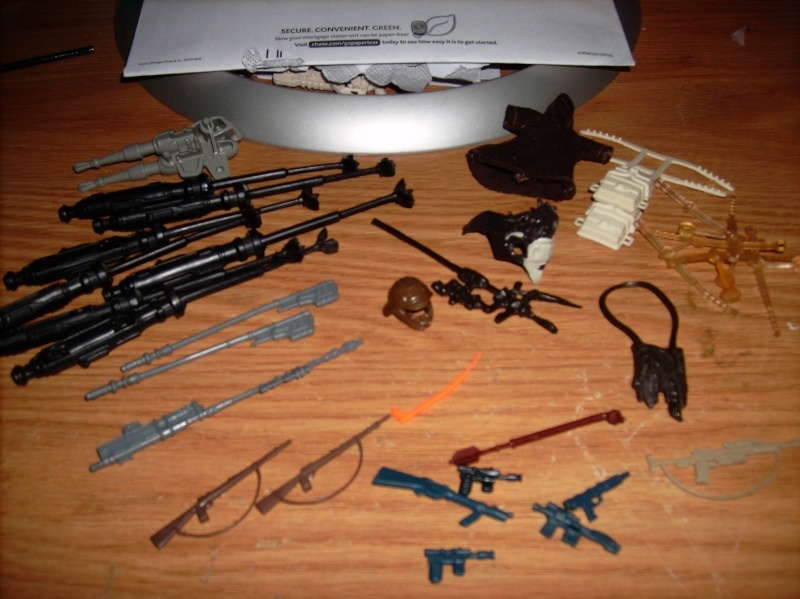 A couple GI Joe parts, and some other Star Wars mini figures.... I think they must be from a game or something? I will try to get a pic of them soon for help with identification. Derek - If you want a trade for one of the prune face rifles and Skiff guard sticks I would be happy to offer goods. If you have no plans for the Gaffi stick, I am up for a trade/sale. I have not updated things in a while. I plan to TRY to get some photos over the next few days. 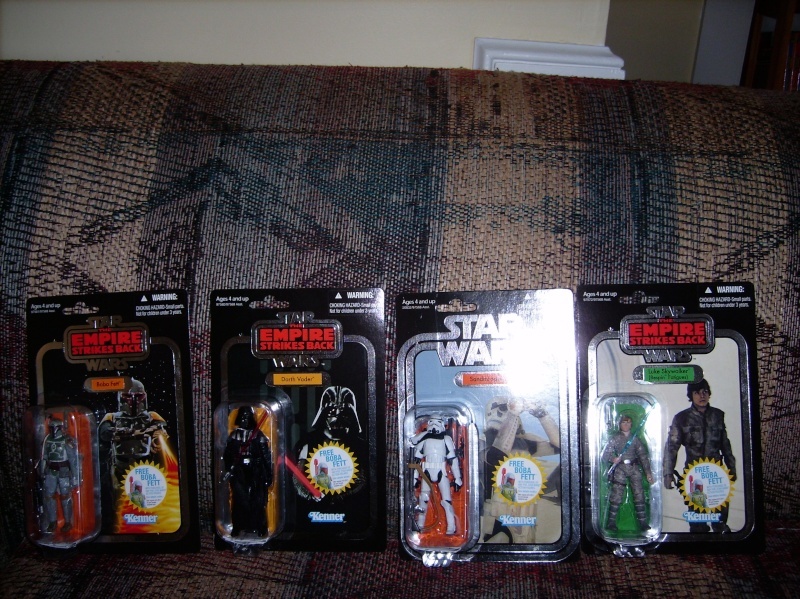 I just did a count on my VINTAGE figures and am down to only 5!